Heat a pot. Add a cooking spoon of delicious coconut oil. Throw in half a chopped onion and 2 chopped garlic. Stir for 1 minute. Pour in a cup of dry basmati rice and stir with wooden spoon. Stir-fry till the rice turns hard and white. Add water to cover just the top and allow to boil. The rice should cook well and then steam quietly till it dries. It shouldn't be soggy. Meanwhile blend 1 tatashe, 2 tomatoes, 3 rodos, half an onion, 2 shombos together with small water. Boil the mixture till it turns into a thick paste. Add 2 cooking spoons of coconut oil and start frying. 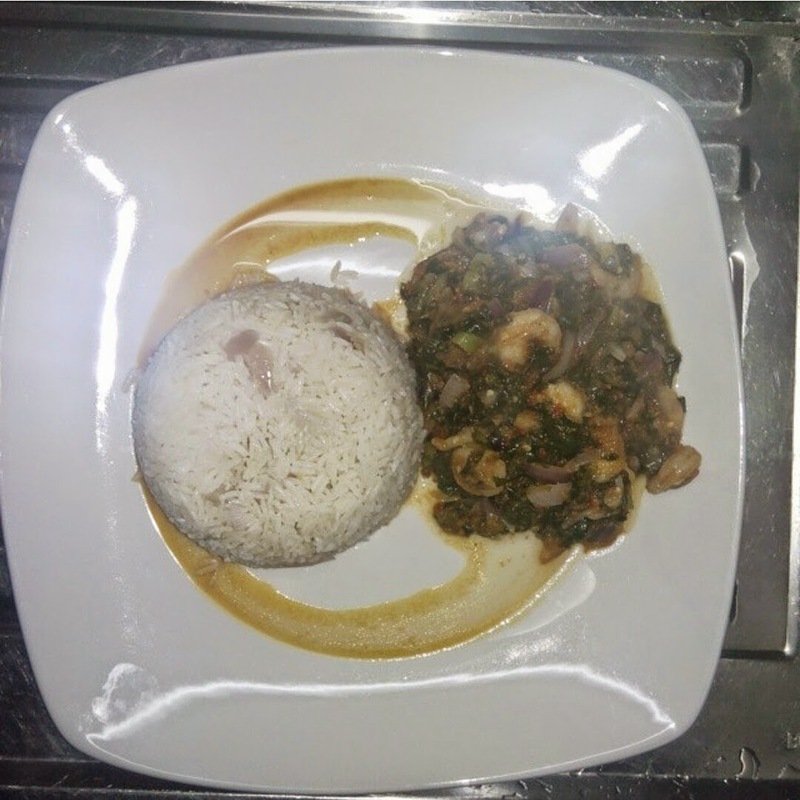 Throw in thinly chopped spinach, prawns, a teaspoon of white pepper powder, chopped onions, knorr cubes to taste. Blend well. Cover to cook till spinach softens. Yum! It's just so fresh, delicious and aromatic!